NBC‘s Grimm TV show’s sixth season premieres Friday, October 28, 2016. So said co-star Bitsie Tulloch, speaking in a Facebook video chat she did last week with Sebastian Roché. Watch it, below. 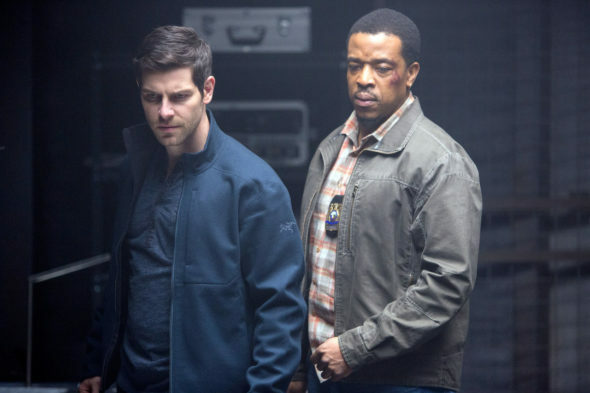 To give itself scheduling room, so far NBC has only ordered 13 episodes of Grimm, season six. The two-part season five finale’s title, “The Beginning of the End,” could indicate the supernatural police procedural fantasy drama is drawing to a close sooner rather than later. Roché, who guest-starred in Grimm season one, episode 18, “Cat and Mouse,” as Edgar Waltz is playing Reichsminister Martin Heusmann in the upcoming second season of The Man in the High Castle on Amazon. Tulloch is working with Roché, Jack McBrayer, and Paula Marshall, on Christopher Gorham’s feature film, We Love You, Sally Carmichael, currently shooting in Utah. The Grimm TV series cast also includes: David Giuntoli, Russel Hornsby, Silas Weir Mitchell, Sasha Roiz, Reggie Lee, Bree Turner, and Claire Coffee. Watch Tilloch announce Grimm, season six, will premiere October 28, 2016 (at the 6:10 mark). NOTE: Although writing has begun, when we reached out NBC last week, the Grimm season six premiere date had not yet be determined. What do you think? 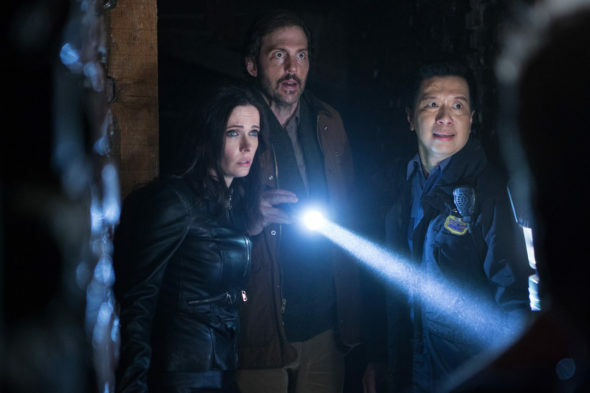 Do you expect Tulloch is correct about the Grimm season six premiere date? Do you want Grimm to be renewed for a seventh season, or is it time to end the series? 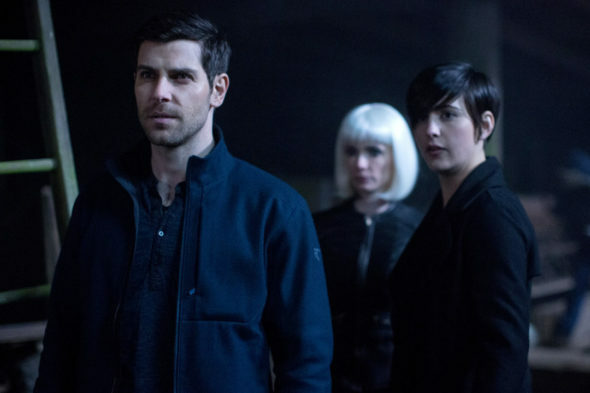 More about: Grimm, Grimm: canceled or renewed?, The Man in the High Castle, The Man in the High Castle: canceled or renewed? More Grimm please please renew for more!! It’s the only show I really enjoy! Please don’t cancel! Please do not cancel GRIMM! Best show on TV with great story lines that keep you coming back for more. I have been a fan since season 1 and would like to see season 6 and 7. Don’t leave loyal fans hanging, like other networks. I love the show GRIM!!!! Please don’t cancel! My husband and I love From.we are playing the on line Game Cards of fate Please don’t take From off. I love The Grimm TV series saw it when it first came on Love it. I hope it stays around for a few more years!!! Well said, Bobby Wedsted. I agree.